Make a real difference to the issues that are important to you. Access our wide range of member benefits, from CPD and events tailored to your learning needs, to our range of unrivalled publications and resources. New members can join for 50% off* this year’s full subscription rate. 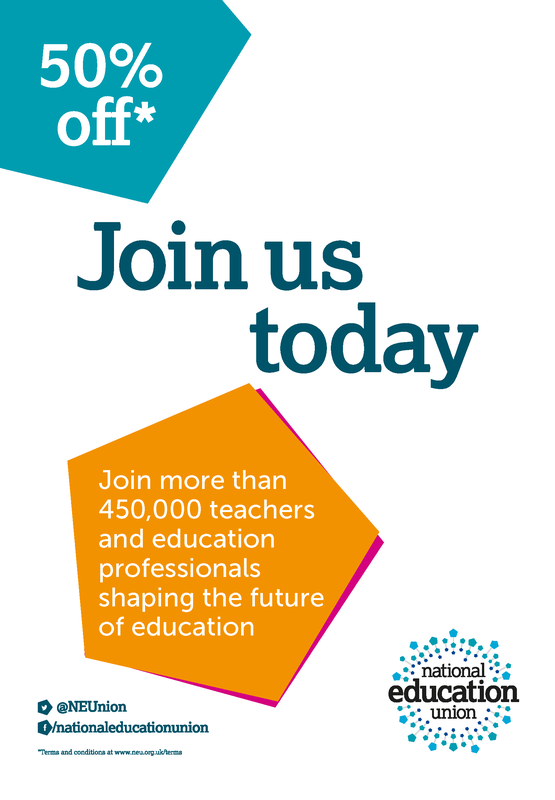 If you don't want to join online there are other ways you can join the National Education Union and take advantage of our great membership offers. Phone: Call us on 0345 811 8111 (local rate) to join now. By post: Complete an application form and return it to: National Education Union, Hamilton House, Mabledon Place, London WC1H 9BD. If you are not sure which category of membership you need to apply for, see our membership rates page. Find out more about the terms and conditions of National Education Union membership.